Will Correa's Party Survive Ecuador's General Elections? 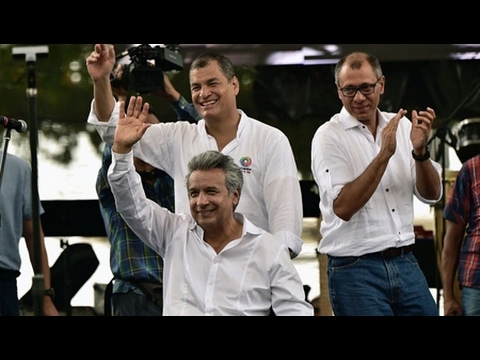 The presidential campaign to replace President Rafael Correa of Ecuador is in full swing. The election is scheduled to take place in just two weeks. On Sunday, eight presidential candidates faced off in the only debate that included the front-runner, Lenin Moreno of the current governing party. President Correa is not running for re-election, as term limits prevent him from doing so. The debate took place just two days after an important accusation was made against Moreno’s running mate, the current Vice President, Jorge Glas. The accusation came from a former oil minister under Correa, who’s currently on the run in the U.S. and who claims that Glas was involved in a corruption case, that has to do with the Brazilian construction company Odebrecht. 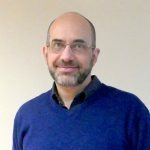 Joining us now from Quito, Ecuador, to discuss this, is Gregory Wilpert. Greg is a producer with The Real News Network, who is currently based in Quito. Thanks for joining us, Greg. SHARMINI PERIES:	So, Greg, before we get into the latest corruption developments, let’s take a look at the campaign itself, and who the candidates are that are running. And just give me a run-down on their profiles. GREG WILPERT	Well, there are actually eight candidates, but only four of them are really in contention for the presidency. The first one, the front-runner, is Lenin Moreno. Who has got something like, in the most recent polls, around between 30 and 35% of support from the general population, and he’s representing President Correa’s party, called Country Alliance, or Alianza Pais. He’s a former vice-president, and he was also a commissioner for the United Nations in Geneva, to work on disability issues. And actually, he’s wheelchair bound himself because of a mugging that he suffered. And so, he’s been one of the main spokespersons, actually in the world practically, for disabled people’s rights. And so, many people here see him as a welcome relief to Correa, who has been always very, kind of bombastic, and in many ways similar to Chaves, and his outspokenness and so on. And people feel like, you know, there’s a need to have somebody who’s calmer, and Lenin Moreno certainly fits that bill. The other candidate, the main opposition candidate, really seems to be Guillermo Lasso, who’s a businessman and banker. And he ran, actually against Correa back in 2013, and lost quite significantly. His platform is essentially a neoliberal — typical straight down the line neoliberal platform. If he were to be elected, he would probably go along the ways of Mauricio Macri, in Argentina, or Michel Temer, in Brazil. And right now, he’s running around 22% of the vote, which isn’t very much, but if it comes to a second round, then he would have a very good chance of beating Moreno, unfortunately, so for Moreno certainly. So, that’s the main contest, but then there’s two other candidates who actually could also make the second round, because right now they’re running very close to Guillermo Lasso. And the other one is Cynthia Viteri, who represents the Social Christian Party. She’s got something like, I think, around 18 or 15% of the votes so far of support. But… and she’s another conservative candidate, also neoliberal. And then the fourth one who’s really actually a distant fourth, so it doesn’t really stand that much of a chance, but is worth paying attention to anyway, because he kind of represents scattered leftist parties, and he’s also got support of the indigenous, or a sector of the indigenous movement, Pachakutik. His name is Paco Moncayo. He’s a former general, and he represents the party, United Left. Although, actually the United Left, itself as a party, is very similar, actually in terms of its politics to Correa. So, the difference between them and him, I mean, Paco Moncayo and the front-runner Lenin Moreno, is very difficult to tell, I think, in terms of their politics. SHARMINI PERIES:	Right, and then, so the corruption scandal that I mentioned earlier in the introduction, has taken center stage here in this campaign. How is it going to effect this election? GREG WILPERT	Yes, it broke… I mean, there have been corruption rumors and investigations and so on going on actually continuously, for the past six months. And it especially gained a lot of steam when Odebrecht signed a plea bargain agreement with the U.S. Justice Department, where they agreed to pay something like $3.5 billion in damages and penalties, for the corruption that they’ve been engaged in, in bribing officials throughout Latin America. And one of the countries that was affected was Ecuador. And so, this was, you know, about a month ago, and the scandal really broke, and gained a lot of steam. And the former oil minister for Correa, ended up fleeing the country, and he was the main target who had received money, apparently from Odebrecht. But now he came out, just last Friday, just two days before the presidential debate, accusing the vice-presidential candidate of the governing party, Jorge Glas, who was also the current the Vice President — and who at that time was in charge of the oil company, and actually in charge of deals with Odebrecht — he’s accusing him of being… having known about the corruption scandal. He didn’t accuse him of having received money. That’s interesting, but he did accuse him of having known about the scandal. But there’s a very large… a lot of questions about the voracity of somebody who’s on the run, and he seems to be… And it’s kind of dubious, the whole thing, also because he contradicts himself in his… He made a video and made it public, and so, it seems a little bit strange, especially so shortly before the presidential election, how it came out. But all of the candidates, of course, during the debate picked this up and, you know, called this the most corrupt government in Ecuador in history, and they basically lambasted Lenin Moreno, who’s like I said, he’s a very soft-spoken person. So, it was a little bit strange, in a way, to see this. The way they were attacking him, considering that this person, you know, doesn’t… He seems like the most straight, most honest politician you could imagine. SHARMINI PERIES:	How is Vice President, Jorge Glas, responding to these allegations? GREG WILPERT	Well, he’s certainly denying it all. He himself, you know, is viewed a little bit with suspicion, especially among the left here. The left that supports — I should mention that Correa is receiving the support of the Socialist Party and also of the Communist Party. They’re in collision with the governing party, Alianza PAIS. And so, he’s viewed with a lot of suspicion because he’s seen as being very centrist, very… and so… But Glas has, you know, he hasn’t come out that strongly about this. Correa has come out in his defense very, very strongly, of course. And Correa remains the most popular politician here in Ecuador. SHARMINI PERIES:	Greg, join me for the second segment of this interview, where we’ll continue the conversation about how this corruption scandal is affecting the ongoing campaign. SHARMINI PERIES:	Stay tuned for our next segment.